Del Mar will be Limassol’s new landmark development, with luxury apartments in two highrise curvilinear towers, supported by a targeted high-end commercial & entertainment area surrounding the base of the towers. The residential concept revolves around luxury lifestyle with modern design, while the apartments will all have unobstructed sea views, and enjoy hotel style facilities including Gym & Spa area with indoor and outdoor pools, concierge, children play grounds, controlled entry systems as well as property management services. The total development’s gross saleable area is 40,000sqm, out of which the residential component is c.90%. The gross development value of Del Mar is c. €300mm. The expected time to sell the Project is estimated at 6 years, while the construction of the project can be phased. Del Mar is designed by Benoy, a reputable London based architectural firm. Del Mar is a joint venture between the Leptos Group and the D. Zavos Group. 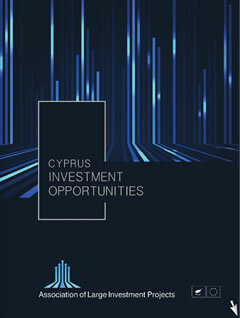 The Leptos Group is one of the largest private companies in Cyprus, focusing primarily in real estate development and hotels ownership and management in Cyprus and Crete, while also owning the Neapolis University and Iasis Hospital in Pafos. It has been in the real estate business since 1961 and has developed and sold in excess of 20,000 units since its inception. The Zavos Group was established in 1980 and is one of the leading real estate developers in Cyprus, with a reputation for offering high-quality residential & commercial units as well as plots at prime locations mainly in Cyprus. Delmar is the second joint venture by The Leptos & Zavos Groups in Limassol – the first such joint venture (Eden in Limassol) is almost 90% sold, having launched in 2011. On the Limassol seafront and the island’s most sought after luxury residential location, in the heart of Limassol’s 4&5 star hotel area. This unique plot of land has a 170meters long unobstructed sea front and it has direct access to the highway. At the heart of the tourist area in Pafos, only 800m from the beach, at the site of the gardens of Aphrodite, the ancient Greek Goddess of love and beauty.